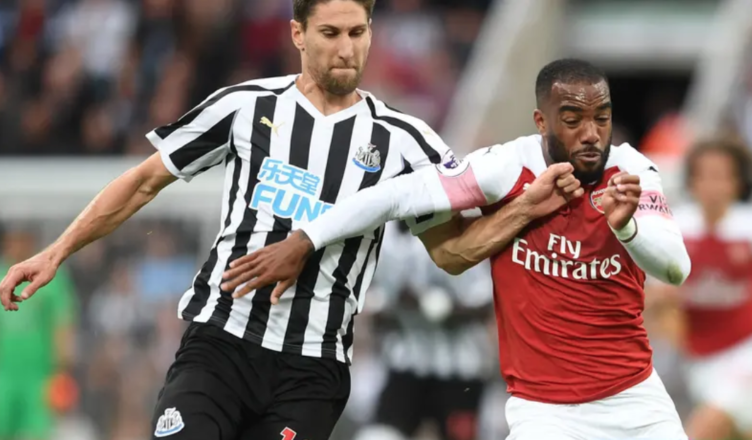 Benitez makes big Federico Fernandez claim – & drops hint ahead of Arsenal clash – NUFC blog – Newcastle United blog – NUFC Fixtures, News and Forum. Rafa Benitez has hinted that he’ll now give Federico Fernandez a run in the team to reward him for his patience – insisting that he was our ‘best defender’ over the first half of the season. The 30-year-old made his FIRST league appearance of 2019 in the 2-2 draw at Bournemouth a few weeks ago – something that seemed a little harsh given he’d been so consistent – however this does show just how good the trio of Schar, Lascelles and Lejeune have been since the turn of the year. I’d agree with Rafa’s claim, however. Despite just arriving from Swansea and our struggling start to the season, Fernandez always stood out with several commanding performances at the back. “He has more chances. He was the best defender at the start of the season. “After that the others were doing well when he was injured so he had to wait. Fernandez looked a little rusty at Bournemouth, giving away a penalty and defending a little sluggishly for their second goal, however it’s good to hear that he’s been training well ahead of Monday’s trip to the Emirates. Many wonder just why our ‘best defender’ over the first few months of the season has been missing for so long. The change of formation (three centre-backs) and Schar / Lejeune’s ball playing ability either side of Lascelles has been the key reason he’s missed out for me. Fernandez is comfortable enough on the ball, but Schar’s ability to step out of defence with the ball and Lejeune’s wand of a right foot has given a different dimension from the back – allowing us to get on the front foot at St James’ Park in particular. One thing that must be said is just how good our centre-back options are these days. Following Lejeune’s return, Lascelles improved performances as a result and Schar’s rise to form, we now have the likes of Fernandez as FOURTH choice – and then there’s the likes of Ciaran Clark and Paul Dummett who often do a good job when called to play in the middle. We may not have as much flair in attack, but the days of a central defensive partnership of Brambe and Boumsong are long gone under Benitez. He should get in no problem after that farce that was Lascelles. Our back line are sometimes on a different planet.